Everyone on our team at Appliance Repair Clifton is devoted to offering timely and professional services. There is no need to go a day without using your home appliances. We will take care of their troubles and offer maintenance to keep them running. Our experts are trained appliance installers and will set right any gas or electric unit. We are simply the company to turn to every time you are in need of services in Clifton, New Jersey. 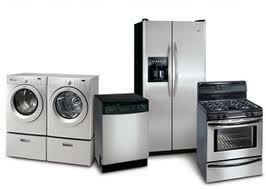 Our pros provide home appliance repair services promptly and with your safety in mind. Call to find out more about us. Let us help you with appliance problems either in the laundry room or kitchen. Prepared to deal with either minor or major problems, our appliance service technicians can fix up trouble in no time at all. When it comes to repairs, we do our best to arrive to your house as soon as possible. We are expert kitchen appliance technicians. This means that our pros can handle major appliance problems but also fix small units. So, call us for refrigerator or oven repairs but also to service the microwave and icemaker. From freezers to stoves and from dishwashers to ranges, we can repair any appliance in your kitchen. Got headaches in the laundry room? All you’ve got to do is call our specialized appliance repair Clifton We will handle problems with combo units and both front and top load dryers and washers. What more can our appliance technicians do? You can schedule preventive home appliances service with us. By maintaining appliances, our techs prolong their lifespan and minimize problems. We also reduce energy bills and keep your appliances operate well. Part of our appliance service is to install new stoves, ovens, dishwashers, ranges, washing machines, and dryers. When you get a new gas or electric appliance, call us to install it. Irrespective of its type, size, model, and brand, we can install it and will do the job correctly the first time. When appliances are properly serviced, repaired, and installed, they operate as they should, last long, and don’t waste energy. That’s what we offer with our home appliance repair services and that’s why you should trust our work. We aim at making chores easy and helping you save money. 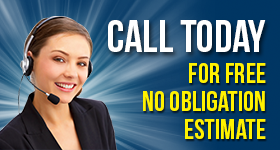 So, give us a call here at Clifton Appliance Repair and let us handle your service requests today.